The relationships that form across teams when undertaking this type of work are crucial. While there are 36 team members from Open Heart International working in Rwanda, there are a number of other groups that play an important part in the work we do. First, of course, is the local staff here at King Faisal Hospital. In theatre, ICU, ward and the office, we work hand in hand with the supportive team members. 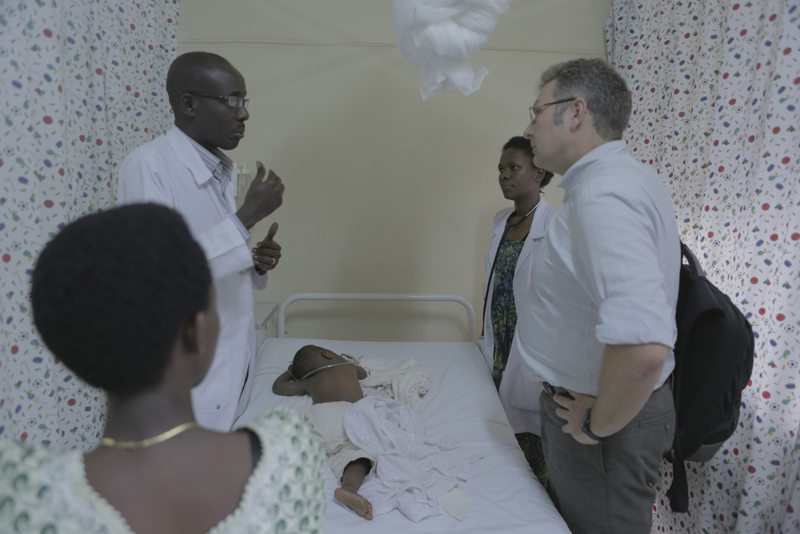 Doctors Joseph and Emmanuel are critical partners, while the theatre, JP has been brilliant and managing all that goes on, while Peter and Emmanuel have worked closely with the perfusionists. The Nurse Unit Managers Judith and Placide admirably put up with all our mess and noise in the HDU and ICU (with Nurse Florence helping me with my arm too) while Alex in the office has made as laugh, and complain about his poor choice in music. While here we have also been working with other medical staff from different programs. Dr. JaBaris Swain, who is hear for a year and works with Team Heart from Boston has worked closely with our assisting surgeon Dr. Raj Samleti. This has been a great opportunity for skill sharing and knowledge building on all sides. Open Heart International sees learning as integral part of the program. Building capacity within local teams can only be beneficial, but we are also enhancing the skills of the team members who come on the trips. They are exposed to new, challenging professional situations while working in new teams. Mentoring across and within the groups has been an important element of team success. For those on their first trip, the support of those around us has contributed greatly to our ability to adapt into this complex and sometimes pressured environment. All the learnings and experiences were summarised at a full department heads meeting on Friday morning, with successes celebrated and actions for the next trips prioritised. It is excellent to see how everyone grows from this process. These relationships also are the beginning, or continuation of long lasting friendships, that makes coming back to Rwanda a priority for so many.